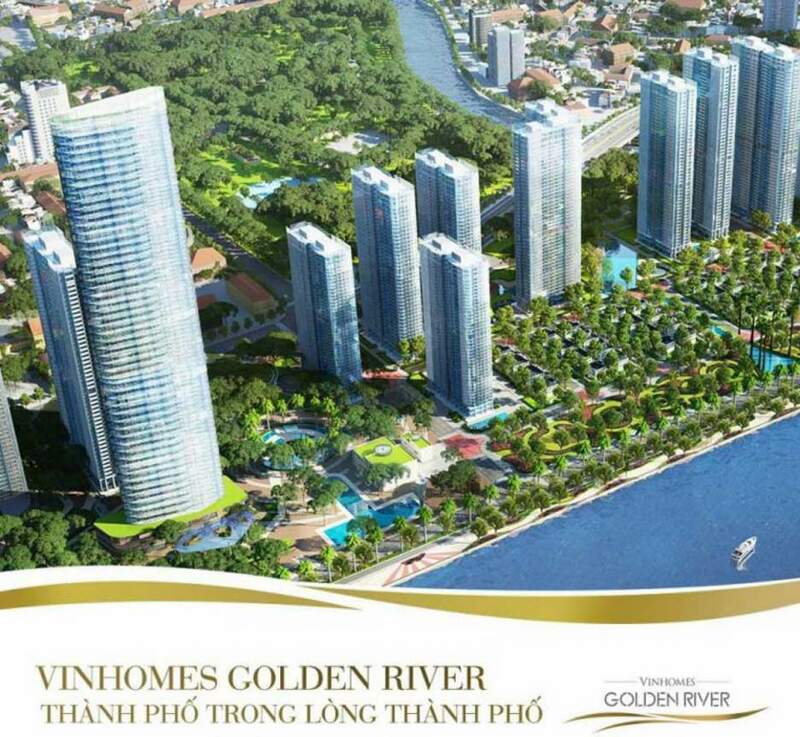 The Vinhomes Golden River (Vinh Son Ba Son) is not only worthy of a diamond and privileged location right in the heart of Saigon, but also the Vinhomes Golden River. In the City, by the very highest level of utility systems, the five-star service complexes are fully present right underneath your apartment. You and your loved ones will not have to go anywhere. You will not be bothered by the inconvenience of living every day because Vinhomes Golden River brought the city into your home. Your family will experience a modern, perfect service system in the center of Saigon. It is easy to see that the utility map is a dense inner-city utility complex, which is built and interlaced around the Vinhomes Golden River Apartments. All the landscapes and amenities within the park are designed and built by EDSA, one of the world’s leading garden landscaping contractors (EDSA). The completion of the Vinhomes Golden River urban area will be the first eco-urban area. Vinhomes Golden River urban area was developed with a very low construction density of only 18.6%, while the remaining large area of project will serve to develop high-end interior amenities perfectly for a flawless life in a green, clean, beautiful ecological community and a prosperous Vinhomes Golden River community. It can be said that Vinhomes Golden River urban area is really a small green city. It not only owns a complete system of excellence, but also the location right at the heart of the heart of District 1. Thus, the Vinhomes Golden River urban area inherits all the utilities outside the city center, which is the functional areas Trade Center – Finance Services – Cultural Entertainment such as (Walking Street Notre Dame Cathedral, City People’s Committee, City Post Office, Vincom Centrer, Parkson, Diamond …. Living in Vinhomes Golden River will bring your family and children a bright future as all of the most advanced and modern utilities just for one purpose of giving you a truly flawless life from time to time. Your health will be guaranteed at Vinmec Central Park International Hospital, your children will study at Vinshool Central Park one of the most modern international standard educational systems in Saigon. Vinhomes Golden River urban area will bring your family an ideal and perfect life. This is where you share the good things with your loved ones and to connect with a prosperous Golden River community of Vinhomes, to build a sustainable, bright future.